What strikes you while entering the large portals of the Mandarin Oriental, Hong Kong is the immense energy that the place seems to generate. This is not just about travellers from other lands who bring their own spiritedness but also locals who seem to be at home here. In this bustling city, the hotel seems to vibrate with its own essence. It is apparent that this is a centre of all things — from dining and drinking to relaxing and socialising. 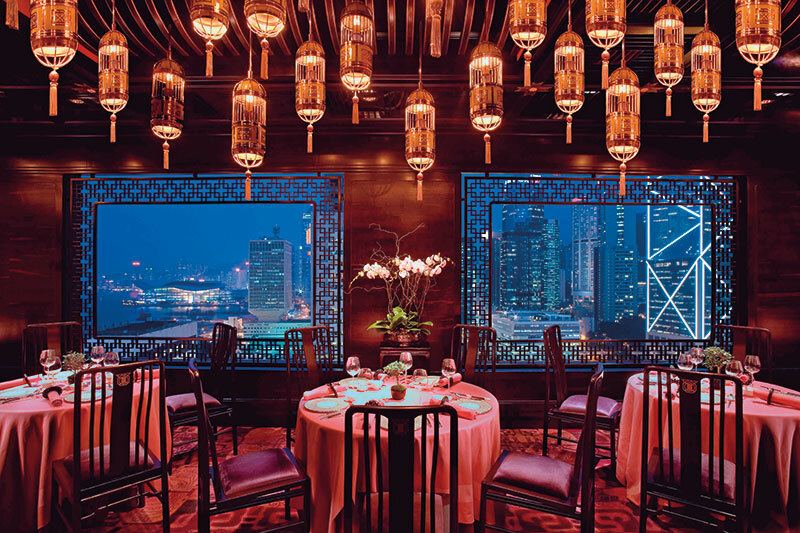 This flagship of the Mandarin Oriental Hotel Group is situated in the heart of Hong Kong and has continued to enthrall over more than 50 years. When the hotel first opened in 1963, it was the space-age elevators that seemingly catapulted guests to the top 27th floor in just 21 seconds. The hotel was the first to have direct-dial telephones, and the first in Asia to have a bathtub in every room, leading the architect of the hotel to ask, “Are the guests amphibious?” Following a USD150 million renovation in 2006 (more than double what was spent on building and furnishing the original hotel), this landmark was completely transformed to offer guests 21st-century oriental luxury and modern technology, whilst retaining its much-loved character and soul. This new 501-room hotel was the first to have Technology Butlers available 24 hours a day. 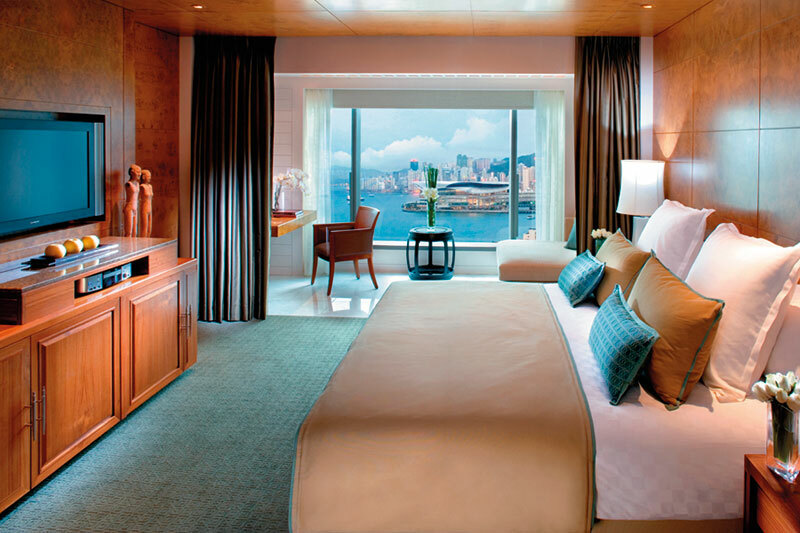 Step into one of the 434 beautifully-appointed open plan guestrooms and magnificent views of the famous Victoria Harbour and the city’s skyline hit you immediately. Luxurious furnishings in woven silk, leather and walnut are infused with a hint of the Orient, as are the selection of black lacquer, bronze and vintage Chinese artworks and accessories. The bathroom combines practicality and style with sleek Travertine stone, Black Forest Chinese marble and an over-sized mirror. This is comfort indeed! None of the hotel’s six signature suites is alike, with each one created to reflect a true sense of place and offering breathtaking views. The most striking of the collection is the Lichfield suite, dedicated to the memory of Patrick Lichfield, the esteemed photographer who was a regular guest of the hotel and the lensman behind the Group’s award-winning ‘He’s/She’s a Fan’ advertising campaign. The interior design for this suite by Nicky Haslam pays homage to Lord Lichfield’s eclectic style and celebrated life by incorporating personal mementos and framed photographs. The seven-room presidential suite, aptly named the Mandarin Suite, boasts priceless objets d’art, a balcony and double height full-length soaring windows overlooking Victoria Harbour. A large mosaic bath offers views of Hong Kong’s cityscape on one side. A collection of 10 restaurants and bars includes three with Michelin stars. The Pierre is a two Michelin-starred restaurant on the 25th floor and serves Pierre Gagnaire’s food deeply rooted in the French cooking tradition. Lunch at Man Wah, the Michelin-starred Cantonese restaurant is replete with delicious dim sum and more. Just off the hotel lobby is the popular Captain’s Bar known for serving draught beer in silver tankards and Chef Satpal Sharma’s outstanding range of bar snacks. For traditional British cuisine including fish and chips and bangers and mash, visit the Chinnery, a favourite among locals. The daily buffet breakfast at the Clipper Lounge is a treat indeed while Café Causette serves an á la carte version as well. The Mandarin Spa, covering three floors, incorporates holistic wellness treatments, an indoor swimming pool, a fitness centre including a Kinesis Studio, an expansive Mandarin Barber on the second floor and the contemporary Mandarin Salon on the 24th floor. Thirteen meeting rooms, a 24-hour business centre and round-the-clock services further give the hotel legendary status around the world.